Cedric Pietersz is the Treasurer for the Central Bank of Curaçao and Sint Maarten. Pietersz shared with Bitsonline the central bank’s views on how blockchain and cryptocurrency are being explored at the highest levels on the island. Also see: Grocery Shopping in the Caribbean and Paying With … Bitcoin? Bitsonline had the opportunity to visit the Central Bank of Curaçao and Sint Maarten in the island of Curaçao. While there, I met with and interviewed the bank’s Treasurer, Cedric Pietersz. In his remarks, Pietersz took the opportunity to share the bank’s views on innovation, including on blockchain technology and cryptocurrencies, and the national government’s plans to spur development as a “smart nation” with bleeding-edge tech. Pietersz went on to describe multiple steps the central bank has taken alongside the government to drive further innovation on the island. These measures include developing a pilot for a central bank digital currency, reviewing numerous administrative applications of blockchain technology beyond cryptocurrency, and how the central bank may become more involved in areas such as ICOs. 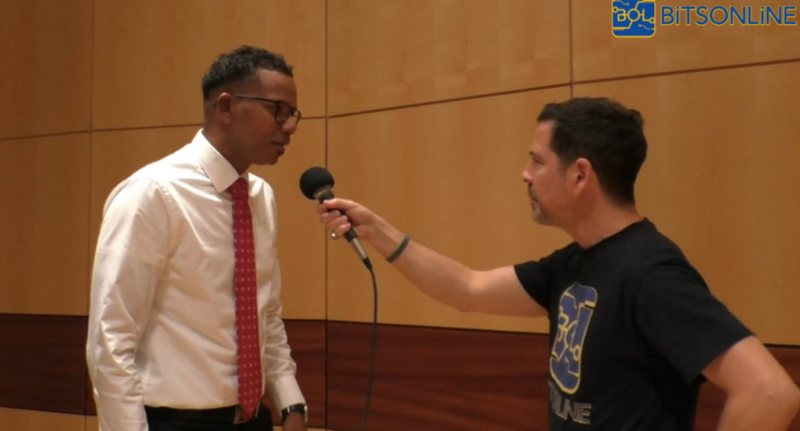 From the interview, it was clear the Central Bank of Curaçao and Sint Maarten is actively pivoting toward the blockchain ecosystem. It may be among the first central banks to do so, but if hyper-digitalization continues on, they likely won’t be the last. BItsonline will continue to track the use of digital assets and related developments coming from the island. What are your thoughts on Central Banks such as the Central Bank of Curacao and Sint Maarten actively entering the space of cryptocurrency? Tell us what you think in the comments. « Will the New Stable of Stablecoins Help Soothe Nerves, Wean Industry Off Tether? George Levy is Chief Marketing Officer for Bitsonline, and an Instructor on blockchain and cryptocurrency at Blockchain Institute of Technology (BIT). An award-winning digital entrepreneur with over 20 years of professional experience working with Internet and digital technology, George Levy is on a mission to spread and grow the impact of blockchain technology across the globe.